Of course, many, many reviews will trot out the "return to form" quote in relation to this album. It is de rigeur for an album release from an artist who has been around a long while. Funnily enough, however it is probably correct for this one. The whole album is delivered with an age-belying effervescence that renders it most appealing. 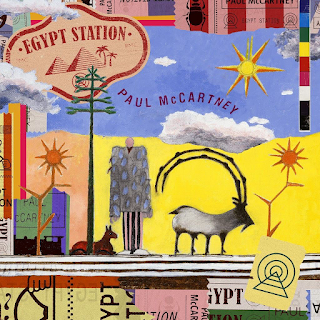 It actually avoids being labelled "another Paul McCartney album", in my view. "I Don't Know" is a melodic, mid-paced pleasant opener, with shades of some of his mid-seventies work (a bit of a "My Love" "who-woh" bit in there at one point). The first thing that hits you is the quality of the sound. McCartney's albums during the previous decade were dogged by an often distorted sound, particularly "Memory Almost Full". This album is not affected in this way, the sound is excellent, to my old, ravaged ears. "Come On To Me" is a big, thumping, confident industrial blues rock number. Despite his ageing voice, McCartney sounds in control, strong and enthusiastic. The song has a killer brass break in the middle. There is a lot of energy, verve and vigour to this which is refreshing to hear from an artist at this stage in his career. The bass sound is big and full. I like it that way. Maybe some won't, but it is to my taste. "Happy With You" is a Wings-ish acoustic song telling of how he used to "get stoned" and "drink too much" in the past. His voice does admittedly sound old on this one, but heck, he is old. This is an old man's song of peaceful, satisfied reflection. A song from a man at peace with himself. It is actually quite touching. 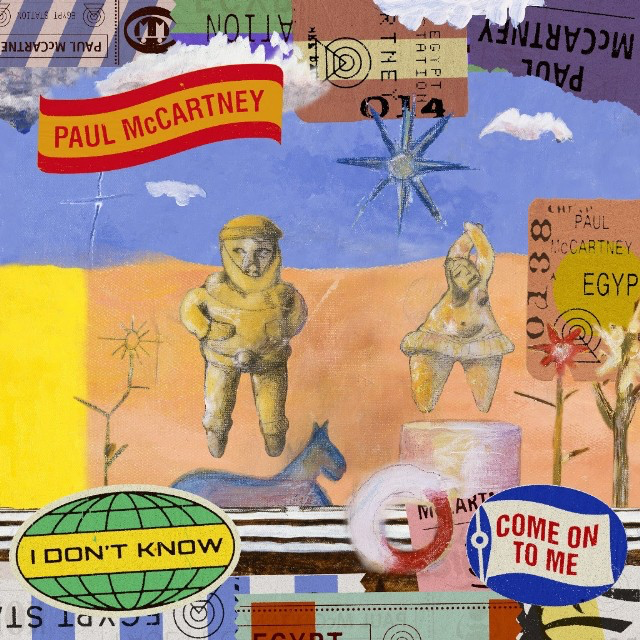 It is McCartney's "What A Wonderful World" (Louis Armstrong) type song. "Who Cares" is a riffy, seventies-style rocker with some great lead guitar and bass. Again, it is very Wings in its feel. "Fuh You" is a tender but upbeat song with some nice verses, but it is blighted a tiny bit by a crashing chorus and some weird-sounding high-pitched backing vocals. "Confidante" has McCartney in a sad mood about a past relationship gone wrong. It has a strong acoustic backing and another impressive vocal and sumptuous bass in the middle passage. There is a melodic catchiness to this number that instantly makes it stick in the mind. "People Want Peace" evokes the spirit of his old mate Lennon, especially in the "Give Peace A Chance" clapping and chorus part. It is quite moving to hear him do this. "Hand In Hand" is a beautiful song, backed by strings (cello?) and flute and a plaintive McCartney vocal. A short but lovely song. "Dominoes" gets back to some pumping, muscular rock over a beguiling lyric. McCartney's struggles to match the beat vocally a little during the rockier parts, but not to any real detriment, to be honest. The instrumental bit at the end is excellent, almost Beatles-esque in places. 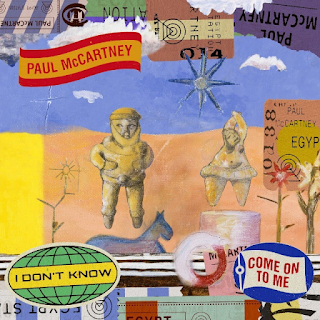 "Back In Brazil" is a short, impossibly catchy, rhythmic and lively number with some intriguing lyrics and a fetching delivery from McCartney. Is it an interesting song that shows he certainly hasn't lost his muse, musically or lyrically. "Do It Now" is a delightful number, backed by a harpsichord-sounding keyboard and some philosophical lyrics. I wonder if this may be McCartney's last album. Who knows? If so, this is a wonderful song to appear near the end of the album. "Caesar Rock" is an intense, powerful piece of solid, and once again, incredibly confident rock. "Despite Repeated Warnings" sees the album to its conclusion in reflective mood, initially. Its rocking change of pace half way through is very much like something from "Venus And Mars". The big, cinematic synthesised brass bit at the end brings to mind "Live And Let Die". It even has shades of "Happiness Is a Warm Gun" in the "yes we can do it" vocal part. It is by far the most adventurous composition on the album. "Repeated Warnings?" It will demand repeated listenings. Hold on - there's one more track to come! "Hunt You Down/Naked/C Link" follows on from the extended, songs within a song style of "Despite Repeated Warnings" and gives us an "Abbey Road" style cornucopia to finish with. As with the previous number it is impressive and needs more than one listen. On first listen, I am extremely impressed with this album and, while I am obviously an aficionado of McCartney's work, I am not an absolutely obsessed fan, so I feel my views on it are somewhat objective. I like it. And the great thing for me - no "whimsy" tracks!